SNAFU! : Damn! Someone actually did it! Someone called for MARSOC to be disbanded! Damn! Someone actually did it! Someone called for MARSOC to be disbanded! Never in a trillion years did I think someone would actually do it, much less Dakota. This is a conversation that should have been had LONG ago. To expect a force of 175K (or a bit more...don't know the end strength now) to produce 3 battalions of Special Ops personnel was batshit stupid but to be expected from Rumsfeld. Now with a looming fight against a peer force on the horizon someone is looking at personnel issues and coming to a basic conclusion. The USMC is too small to contribute to SOCOM...at least as a ground force. In my estimation we could more easily contribute aviation assets (maybe a squadron or two of MV-22s...along with an F-35B section) to augment the 160th (who would pay for penetration package for the MV-22 would be problematic) or maybe just act as support in the tilt rotor community for the Air Force limited number of MV-22s (although I hear they're not the preferred ride of SOCOM units) much like the US Navy once had a dedicated rotary winged SOCOM unit...but I don't know if that would "fly" either. We can expect the MARSOC (and to a degree the aviation centric mafia) to fight back hard. They won't even want the conversation. But it must be had. The solution is simple. Disband MARSOC. Its not in the best interest of the USMC, the Army could more easily raise another Ranger Battalion and the personnel could simply transfer service to that unit (those that want SOCOM more than the Marines). The real pushback will come from Marine Officers (sorry Noble, Frazier and others) that want to punch their ticket doing a bit of SOCOM time before the next promotion board. Either way the point remains. 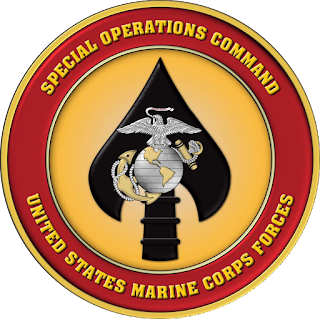 It's past time for the USMC to have the discussion about disbanding SOCOM.